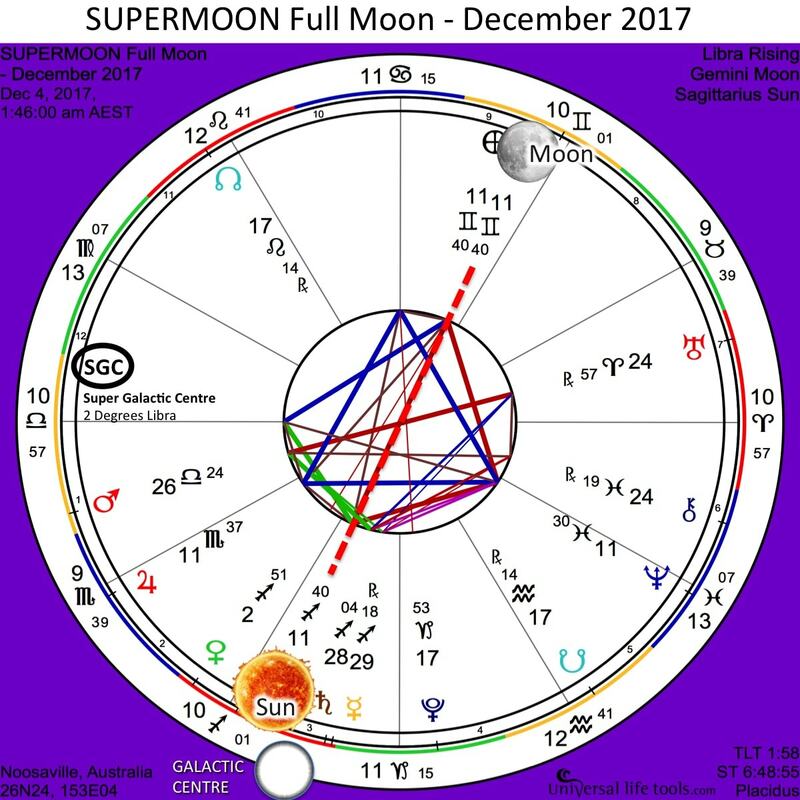 Riding on the energetic waves of our December 3/4, 2017 SUPERMOON…. 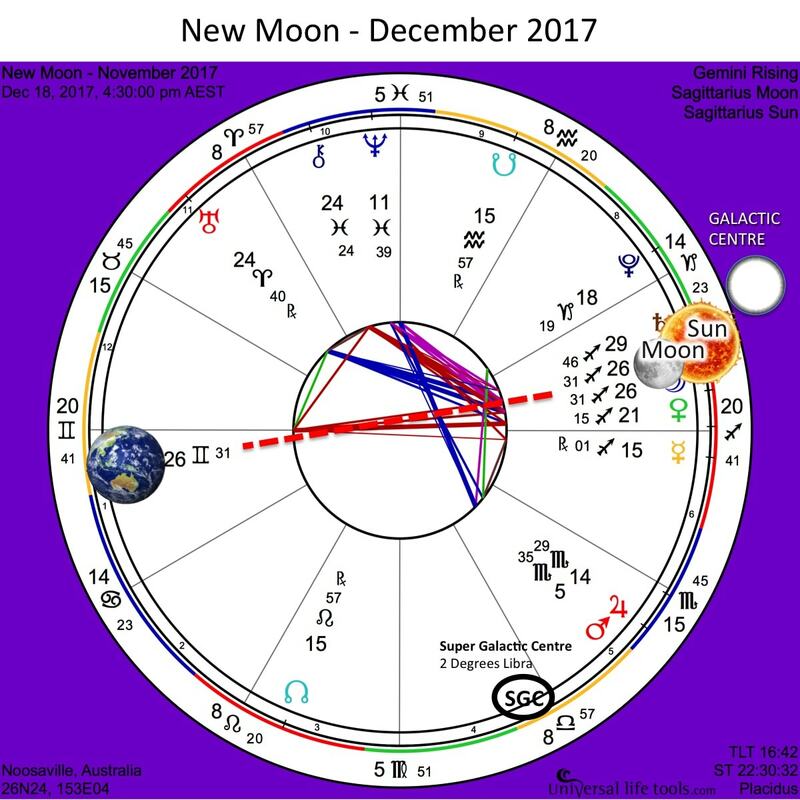 our December 17/18 New Moon opens a 5 day ENERGETIC WINDOW between our GALACTIC ALIGNMENT (18 December 2017) and our SOLSTICE (22 December 2017). 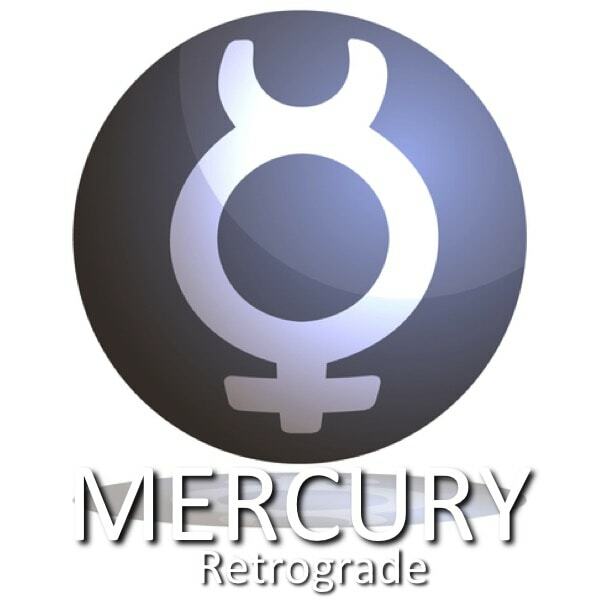 Plus… MERCURY moving RETROGRADE during this ENERGETIC WINDOW is amplifying an even greater potential. PLUS how to make the most of this transformative ENERGETIC WINDOW… especially as we countdown to the end of 2017. UPDATE 13 December 2017: I have just posted an article entitled ‘Galactic Star Map‘… I hope this sheds some light not only on the significance of our Galactic Cycles but also the relationship of the Aetheric Field to our Brains. Each year during our December Winter/Summer Solstice (for this generation on Earth), we experience a GALACTIC ALIGNMENT of the Earth, Sun & Galactic Centre in the Astrological Sign of Sagittarius. This years EXACT Galactic alignment will take place on December 19, 2017 (just over 13 hours after our December New Moon) and the energy will be felt for a full 5 days leading up to our Solstice on December 22, 2017. 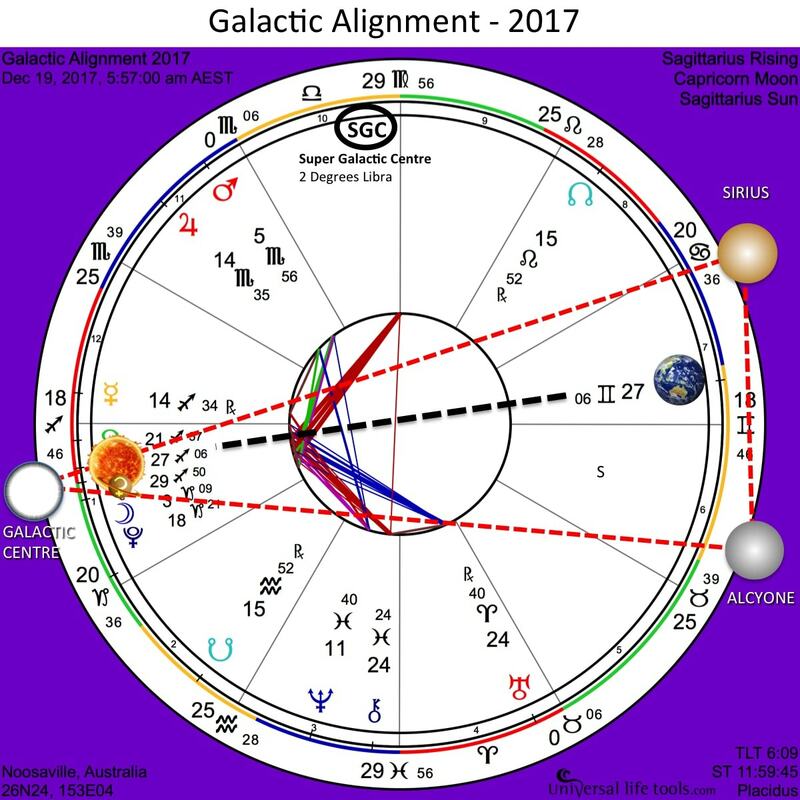 Our December 2017 Galactic Alignment is being amplified this year by our SuperMoon Triology, the first SuperMoon occurred on November 3/4, 2017, second SuperMoon on December 3/4, 2017 (2 weeks before our Galactic Alignment) and the third SuperMoon on January 1/2, 2017. SUPERMOONS are amplifiers of our energy fields and awaken higher potentials of the current planetary alignments that they are associated with. So this years Galactic Alignment is set to be super-charged that’s for sure ! Click on the diagrams below to enlarge – SuperMoon December 3/4, New Moon December 17/18, Exact Galactic Alignment December 19, Solstice December 22. What is the Galactic Alignment ? During a GALACTIC ALIGNMENT, our Earth, Sun & Galactic Centre (in Sagittarius) align on the Galactic Plane – the flat plane of our Milky Way Galaxy. 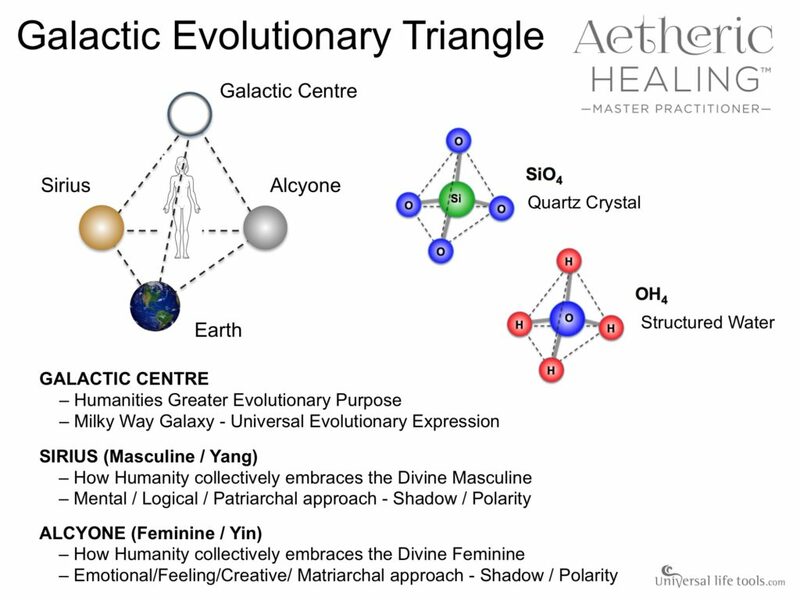 During this Alignment, our astrological GALACTIC EVOLUTIONARY TRIANGLE – a tetrahedron of energy formed by the Earth, Sirius, Alcyone & the Galactic Centre is amplified into its greatest potential for the year. As I discuss in our Aetheric Healing™ eCourse, this amplified TETRAHEDRON of energy that surrounds us seeks to ‘STRUCTURE the WATER’ within our bodies such that we literally become walking LIQUID CRYSTALS. Every cell within our body is thus bathed in this GALACTIC LIQUID CRYSTAL Template resonance (ie Essence of Angels®), which in turn ACTIVATES our DNA and ATTUNES (increase in resonance) our genetic potential. 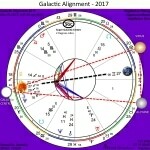 At this time each year, this GALACTIC ALIGNMENT COSMIC BLUEPRINT – formed by Earth, Sirius, Alcyone & the Galactic Centre supports us in stepping into (both individually & collectively) our greater Evolutionary Purpose and helps us to step into the grandest version of the greatest vision that we have ever held for ourselves as a Human Liquid Crystal (refer Crystal Light Healing®). The energy of the GALACTIC ALIGNMENT is also amplified through our Solar Systems transition through the Photon Band/Belt of Alcyone – essentially weaving/birthing ‘The Divine Feminine’ within our hearts, minds and souls. 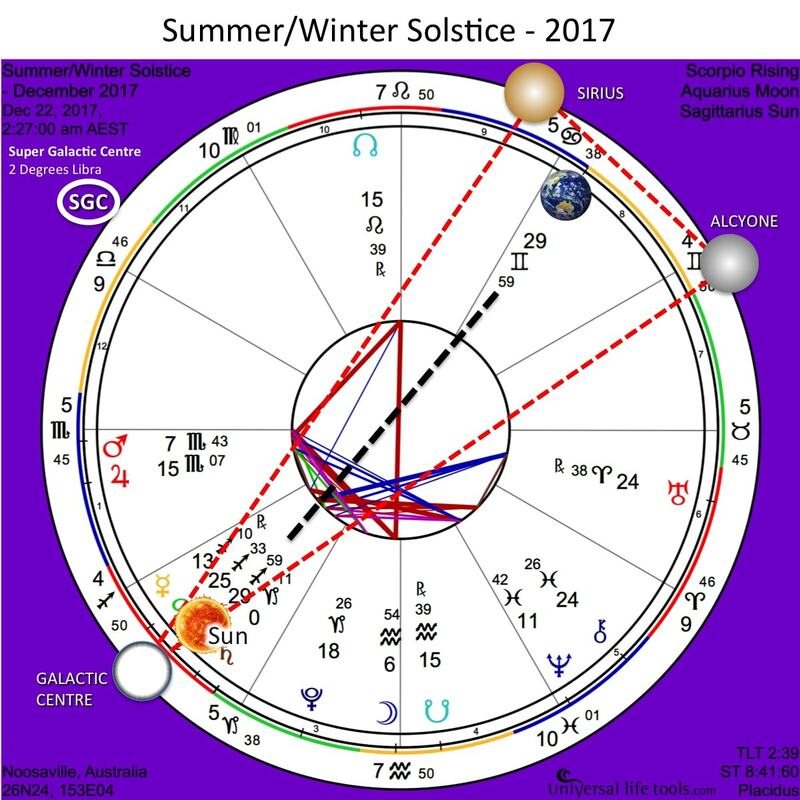 The Table below lists the Date/Time of the preceding Super Moon, Date/Time of the EXACT Alignment on the Galactic Plane, Date/Time of our Summer/Winter Solstice. Mercury only takes 88 days to transit around the Sun, whereas Earth takes approximately 365 days… hence at times during Mercury’s transit, from the position of Earth, Mercury appears to be moving backwards (Retrograde) in our skies. Please read my article on Retrograde Planets to understand more about this phenomenon. Mercury rules all communications such as computers, phones, travel, electronics and all business/personal communications & documentations. When mercury moves retrograde and into the darker recesses of our psyche, this may herald a time of misunderstandings, mis-communications, computers & electronics crashing and plans going haywire ! But rather than perceive Mercury Retrograde as a negative time, I prefer to work with the energy as a wonderful ‘inward’ time to attend to all the ‘RE’s’ – ie re-evaluation, re-check, re-pair, re-store and re-calibrate my visions in order to confidently move forward in conscious action when Mercury moves direct. 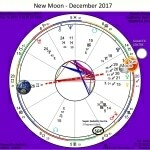 On December 3/4, 2017, MERCURY moved RETROGRADE in the Fire Sign of SAGITTARIUS and will move direct again on the December 23/24, 2017, in SAGITTARIUS. PLUS…. when MERCURY moves Retrograde on the New Moon December 3/4, it will be conjunct SATURN (Mercury 29.180 Sagittarius, Saturn 28.040 Sagittarius) AND also within a couple of degrees of the Galactic Centre (27.060 Sagittarius) – making this a very POWERFUL explorative time for everyone. PLUS all of this will happen in the 3rd house of Communication ! As we move inward into ourselves during the GALACTIC WINDOW (Galatic Alignment through to the Solstice – 18 to 22 December), the Mercury Retrograde/Saturn/Galactic Centre conjunct energy, is adding an extra ZING… a supersize INTENSITY to the GALACTIC WINDOW. The Mercury Retrograde/Saturn/Galactic Centre conjunct combo is pushing us to look deeply into the darkest recesses of self – our deep inner secrets, our fears, our hurts, our judgements, our pain and do a sort of self-audit, a psychoanalysis. We are called to take a deep hard look at ALL of the dynamics at play in your life and discover ways of forgiveness, healing and vulnerablity that supports transcendence into our Divine & Sacred Awakened potential. During this intense Mercury Retrograde/Saturn/Galactic Centre conjunct in combination with the GALACTIC WINDOW alignment, you may find ALL of your senses are heightened, the veil is thinned, your psychic awareness is enhanced and your dream state to be very intense. The Ancestors of the Earth, and the collective consciousness fields of the Sirian Beings (7D) and Pleidians (6D) are guiding you during this time… it is a time to listen… use your communicative active LISTENING skills to truly ‘hear’ their whisperings and then be ready and willing to take conscious action as Mercury moves direct on December 23/24, and then with our final SUPERMOON on January 1/2, 2018. 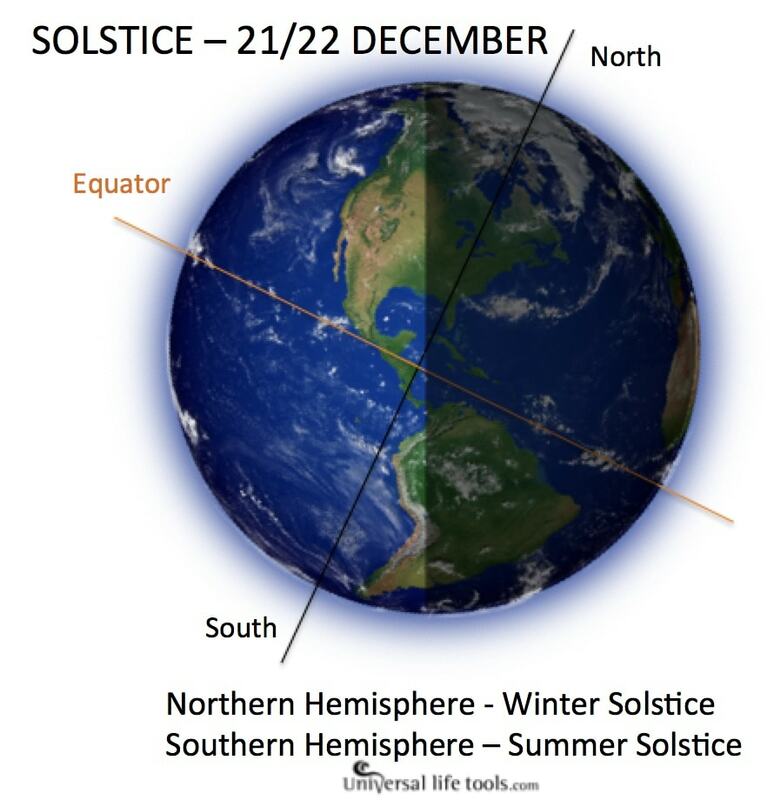 The Northern Hemisphere WINTER SOLSTICE marks the SHORTEST day of the year, whilst the Southern Hemisphere SUMMER SOLSTICE marks the LONGEST Day of the year. Due to the tilt of the Earth (see the diagram right), at our 21/22 December Solstice, the Arctic Circle (Northern Hemisphere) will experience 24 hours of darkness whereby the Sun does not rise and Antarctica (Southern Hemisphere) will experience 24 hours of light whereby the Sun does not set. In the SOUTHERN HEMISPHERE, the December SOLSTICE it is a time of celebration, a joyous time to open you HEART and shine your LIGHT and share your LOVE through the Great Exhalation of the Cosmic Breath. It is a time of JOY, CELEBRATION and DANCE with life as we reach the threshold of peak growth for the year. In the NORTHERN HEMISPHERE, the December SOLSTICE it is a time of inward reflection, a time to move into our HEARTs and connect with our LIGHT within and breath in the LOVE through the Great Inhalation of the Cosmic Breath. It is a time of inner NURTURING & REGENERATION in preparation for our emergence into the world as the days gradually grow longer. On the evening of our 21/22 December Solstice, consider lighting a candle and honouring the LIGHT of joy, blissful abundance, compassion, peace & kindness. Take a moment to BREATHE and unify the Solstice Polarity within your HEART. As we then move into the threshold of a new cycle, it is a time to come together with all humanity through the LIGHT of our LOVE and send a wave of unifying peace through the Crystalline Wisdom Field of our Earth as we step into 2018. During our 5 day ENERGETIC WINDOW (18 December to 22 December), I recommend taking time each day to to go with in and connect with the GALACTIC EVOLUTIONARY TRIANGLE – to support you in stepping into your greater Evolutionary Purpose. In meditation, place your hands in ‘Prayer Position’ over your HEART (see diagram right) and focus on the rhythm of your breath. Through your breath your Nervous System acts like a tuning fork or antennae picking up the signals of creation; signals that lie not only deep within your DNA but also the frequencies of nature, the Earth, the stars, the planets, through to Galaxies and Universes. Once your nervous system is in deep resonance with the field, you then connect with your Higher-Self to become the observer of your human experience within the boundless expression of the Aetheric Field. Allow the ‘answers’ to flood into your awareness. Don’t push for the answers, simply surrender and ‘allow’ them to become conscious in their own good time. It maybe a thought, a vision, an image, a sound, a colour, a symbol… and the ‘insight’ may even come to you in the hours/days after this meditation. Once you have ‘received’ this sacred insight/knowledge, once again in Meditation (with your hands in Prayer Position over your Heart), you then re-pattern your Nervous System to entrain with this NEW state of beingness. 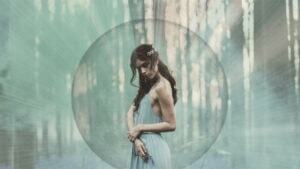 Holding the vision of wholeness, abundance, compassion and kindness from a place self-love…. you retrain your Nervous System to entrain with this LOVE based frequencies in order to transcend the pain, struggle, hurts or hardships within your life. 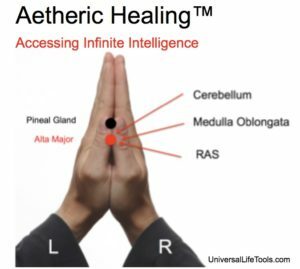 Your neural pathways now radiate this new energy field, which in-turn activates your DNA, changes your cellular functioning, brings your emotional/mental mind into alignment with your I AM Presence and you flow with infinite Soul Potential within the Aetheric Field… as together we transverse through this GALACTIC WINDOW.